You are all so negative. I actually adore this picture! It is a fine work of exquisite beauty, that which can only be achieved by becoming one with the Earth, a beauty so beautiful that... Ah who am I kidding? by E.K.A.N.S. Girl in picture: Aren't you so excited to find out what I did to my mommy and daddy? I ATE THEM, tee-hee! Hee hee hee hee hee hee HO HO HO HO HO HO MUAHAHAHAHAHAHAHAHAHAHA!!! by E.K.A.N.S. TR: Hi, we don't want to be your "BFF", so we found you a new best friend! Girl: Wow, we have so much in common! by E.K.A.N.S. So this is Bloody Mary, huh? Scarier than I expected... by E.K.A.N.S. You know what's scarier than this? The person who's ripping off my caption in ALL CAPS, that's what. by E.K.A.N.S. You are all so negative. I actually adore this picture! It is a fine work of exquisite beauty, that which can only be achieved by becoming one with the Earth, a beauty so beautiful that... Ah, who am I kidding? by E.K.A.N.S. Girl in picture: I'm a hippity yippity-skippity yippie-hippie, yippee! by E.K.A.N.S. Girl in picture: I ATE my parents. by E.K.A.N.S. James: That's me on Friday nights. by E.K.A.N.S. 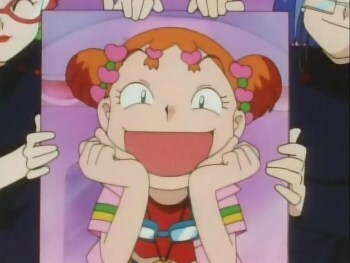 Jessie & James: That's our daughter. Ain't she pretty? by E.K.A.N.S. Jessie & James: Bloody Mary Bloody Mary Bloody Mary by E.K.A.N.S.